Finding, cultivating and keeping loyal customers is the holy grail of modern retail. In a world of rising operating costs and increasing competition, consumers who repeatedly purchase from a brand provide both security and revenue. Research surveying 5,000 consumers over 13 countries has created the ‘5 P’s of Shopper Motivation‘ report. The report identified five different types of shoppers – those motivated by peers, price, practicality, personalisation and perks. Even though the ‘peer motivated’ group was the smallest, they also were the most loyal and the most likely to shop on a daily basis (16%). This is compared to those who were ‘price motivated’, only 6% of which shop on a daily basis. Comprised mostly of 25-34 year olds, these ‘peer motivated’ shoppers are most likely to act as a brand ambassador, with 65% promoting products that they love to their friends, family and followers. This falls to 38% for ‘price motivated’ shoppers. Social media and influencer campaigns work well for ‘peer motivated’ shoppers – tapping into their need for recommendations from trusted people. Boohoo is said to have nearly doubled their profits in 2017 thanks to an Instagram influencer campaign that used celebrities and bloggers to promote the brand. 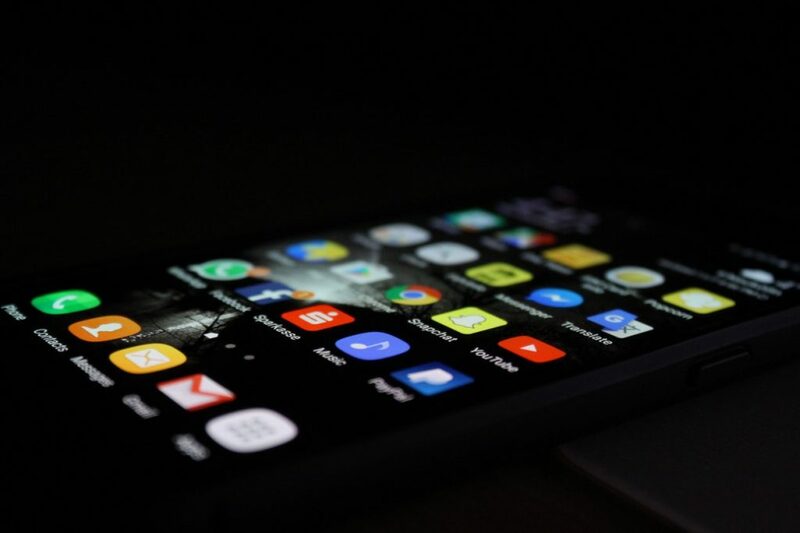 Social media platforms are evolving to become ‘shoppable’, in order to make the most of this trend, and new apps, such as Qwibe, have been created to combine social media and shopping activity. Another platform, Mindmeister provides consumers with a number of different ways to complete a purchase – through credit cards, Paypal, coupons etc. – which improves the speed and efficiency of the sale, and increases the chances of a recommendation from this ‘peer motivated’ audience. It has been predicted that issues around the new GDPR will continue beyond its 25th May deadline – and it looks as though there will be some disagreements over what compliance with the GDPR actually is. Facebook is a great example of the blurred line between compliance and non-compliance: although the company requested its users to choose to continue to store and display their ‘political, religious and relationship information’, Facebook is still allowing its advertisers to target users based on interests it infers based on user’s behavioural data. Essentially this means that if a user opted out of Facebook retaining and displaying their information, it could still be used by advertisers in order to target them. “Like other internet companies, Facebook shows ads based on topics we think people might be interested in, but without using sensitive personal data. mCommerce is eCommerce’s younger sibling – and it is one that is nipping at its heels! 25% of the world’s population use their mobile phone to make purchases, a number which has doubled in just a year, and is in comparison to a 15% decrease in purchases on a desktop or laptop. mCommerce requires its own attention, and brands must ensure that they are fully mobile-optimised. One of the first steps is to understand the inherent advantages of mobile commerce. An app, for example, offers a fantastic user experience, as purchases can be completed with one click (rather than long forms and complicated payment processes in traditional eCommerce). Easy to use interfaces, multiple payment models and customised content are some of the areas that should be considered when optimising for mCommerce. Importantly, the loading speed of the mobile website or app is a key factor in successful mobile sales, as the journey should be as friction-less as possible. Shopify conducted research which showed that 67% of mobile users were more likely to make a purchase from a mobile-friendly site, further proving the fact that brands need to take mCommerce more seriously. Amazing imagery is vital, so ensure that your product and lifestyle photographs are influential and creative. In order to stand out from the crowd, make sure that your branding and logo are eye-catching. Make sure that you content is flexible and suitable for all different platforms and devices. Although Apple and Android have 70% market share, you don’t want to automatically exclude the other 30%. Short, clear and concise product descriptions are best for mobile as they get the main points across and are better suited to the smaller format of a mobile device. Whether going to dinner, going backpacking for 6 months or switching providers, people are empowered by search. Extensive searches on a topic have been found to increase anticipation and confidence, and to make consumers feel less anxious about their decisions. Google has been conducting research into why people are keen to know so much about an experience before they have even had it, finding that the research process becomes part of the experience itself. Extensive research also helps to make the most of something – planning the prices, maps and schedules ahead of time means that you don’t get any nasty surprises and that the experience is seamless. Another reason for plentiful research is to avoid missing anything – whether that’s the restaurant speciality or a hidden gem at a particular destination. Research means that consumers can negate feeling remorseful – both by missing something amazing or by doing something that could have been avoided. Offer ways for consumers to easily organise their experience, so that anxiety is avoided and confidence is boosted. Make it simple and quick for consumers to plan their day and to save time and money. Get consumers to inform you of what is important to them – beach vs island view, classic or modern, budget or luxury – and then suggest matches that align with their needs. Godin uses this example: “the boy cried wolf but the villagers didn’t come,” as in just nine words, a whole story is set out. The universality of this story means that anyone who reads it can identify with it – and Godin says that whether that story happened or not is actually the least important thing about it. “Harley Davidson can tell a story with an ad, they can tell a story with a video, but they can also tell it with the sound that the bike makes, and they can tell it with which kind of leather jacket they’ve decided to grant a license to, and they can tell it by where they’re going to have a rally. “Professional sales people want marketing that makes a promise they can keep – and they get very frustrated when marketing shows up with promises that just aren’t true. They are the feet on the street, they have to look people in the eye. Godin suggests having the marketers spend time on the shop floor, and also for sales reps to experience life in customer service, as this creates a larger understanding of how the business functions.